This look was isnpired by the very talented Lynette Cenee. Make sure to use my code GYL91 for 10% at BornPrettyStore where they have millions of nail art supplies! Plus they offer free worldwide shipping. And check out Lynette's channel to see how you can achieve this look! I was obsessed the first time I saw it on her video and HAD to try it. 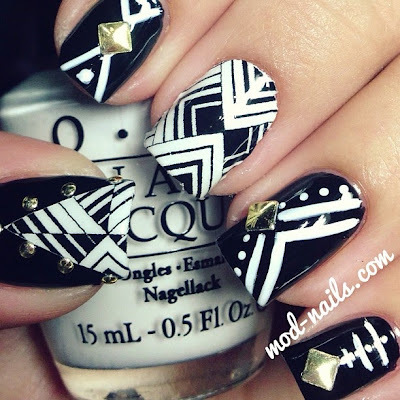 I love the contrasting black and white colors and the gold studs add the perfect touch.